Mom deserves the best... 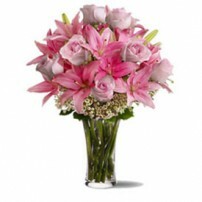 Send her flowers! Celebrate Mother’s Day with 10% OFF! Coupon US19MA at the checkout. 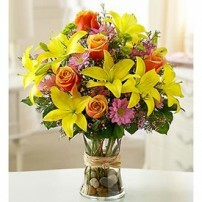 Any recipient will be in awe of this beautiful display. 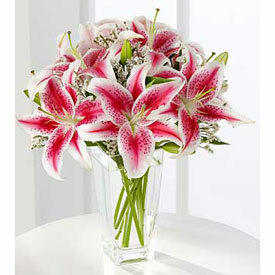 The beauty of this arrangement of fragrant stargazer lilies is simply captivating. 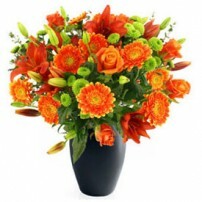 Their versatility makes them a favorite gift to offer congratulations for graduation, engagements, bridal showers, new baby, or even a gift of sympathy. 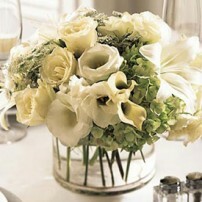 Arrangement composed of scented Oriental Lilies in transparent glass vase or bouquet presentation.